Spotlight on new board member Deborah Galle! Please share an early/childhood experience that was pivotal to your personal relationship with wildlife. As a child, I LOVED wildlife. I would find toads, salamanders, snakes, bumble bees and hold them all! I was fascinated by their behaviors and could watch them for hours. When I was about 7 years old, I would visit two swans across the street - my home was in an area with a large marsh and wooded area. I would whistle for them and the pair would fly in with a big swoosh. They even allowed me near their nesting area and would approach me as I sat on the seawall and playfully nip at my sneaker tips. I never touched them, I simply watched them for hours. When I was about 8 years old, I brought a snake home and convinced my mother that I needed her/him for my science project. She allowed me to keep the snake for several weeks until the project was completed. The snake would sit in my hand and wrap around my fingers. Unfortunately, my Uncle came by and identified her/him as a baby Copperhead. I begged him for a 10-minute head start before telling my mother, so I could run out to the marsh and woods to release her/him, safely! The snake never attempted to bite me. I wanted to be a veterinarian from the time I learned to say the word! How did you initially become involved with IWRC and why did you choose to become involved on a board level? I became a member of the IWRC after seeing them at my first NWRA Symposium. I Purchased the Book Wildlife Rehabilitation: A Comprehensive Approach, and found it to be easier reading than the NWRA manual. I have served on the CWRA Board of Directors for a number of years. I have considered submitting an application to the NWRA or IWRC but was on the fence about which one. I will most likely relocate out of state at some point and I was looking for a responsible organization to continue to serve. I believe the IWRC is emerging as a viable (and valuable) resource for wildlife rehabilitators. The IWRC won out over the NWRA, although I appreciate both organizations, immensely! Describe a specific area of interest or a particular passion within the scope of IWRC's mission. Increasing the demographic of the IWRC and the continuation of the dissemination of accurate information, as we learn more about wildlife and that information changes. My communications training has been a huge asset. Client service skills were developed during my time in retail management. I was fortunate to have been a communications and benefits manager for Time Warner. This allowed me to hone my skills as an educator, coach and presenter. These skills enable me to assist other rehabilitators and the community with regard to wildlife (Put the rabbit back!). I can learn anything. That is why my professional experience covers an array of industries. The most significant accomplishment would have to be my transition from retail into corporate. I had all of the skills for retail and almost none of the technical skills required for Corporate. I was sent on a “practice” interview and met with a VP of Human Resources. After the interview, I was to report back to the temp agency and they would compare notes with the VP. The VP requested me as her new temp employee and argued with the temp agency who had the client’s interest in mind and wanted a good match. The VP won and I began working for her. Two weeks later, Time Warner purchased the company. I completed my temp assignment and was contacted by Time Inc.’s VP of HR who requested that I take on another temp assignment implementing a new call center during open enrollment that year. Once completed they refused to let me go and I was promoted several times during the next 10 years. It was a great place to work during those years! If you could choose, who would you have as a mentor? I appreciate all of the Board members, but I know I asked whether Dani would be available. I was delighted when she agreed to be my mentor! If you were to do something else professionally, what would it be? If you could be a wild animal, which would you be? What is the thing for which you have waited in line the longest? What excites you so much that it keeps you awake the night before? Knowing that I will be travelling to see my family! Describe any companion animals that you share your home and life with. I have a 10 lb rabbit named Ollie. He is nine years old and a big love. He loves to simply hang out and take in whatever is going on around him. I share a couple of rabbits with friends because mine was boarded and bonded with their pets. It did not seem fair to pull them when so happy! I have a rescue Chihuahua who was left abandoned in an apartment in CA with her sister, for two weeks before Animal Control found them. She was emaciated and near death and brought to a kill shelter for humane euthanasia. She was pulled at the last minute by a rescue organization (She was not even a year old!) and flown to CT. Words from Pat Latas DVM – IWRC’s newest board member! I’m not sure that there was one experience, I was involved with the natural world from my first memories and before--there is a family photo of me in diapers bent over watching some ants...I suppose the moment I was old enough to recognize another being, looking at and evaluating me as an equal, was when a one-footed crow came to visit our backyard over several years. Who knows how it came about, but my family called him Jack, and he came to recognize his name and often brought friends to visit. As a child, I did not know he was “just a crow”. In the late 80s and early 90s, only a few years out of vet school, I had the fortune to drop into a position that allowed me to serve as a wildlife veterinarian at an active and progressive wildlife rehabilitation organization. As a field biologist by training, prior to vet school, it was a hole in my professional life that was filled. At the time, I was very concerned about reptile and amphibian standards of care, welfare and rehabilitation methods. IWRC shared the same concerns and was responsive to ideas and suggestions. I was very impressed, and still am. 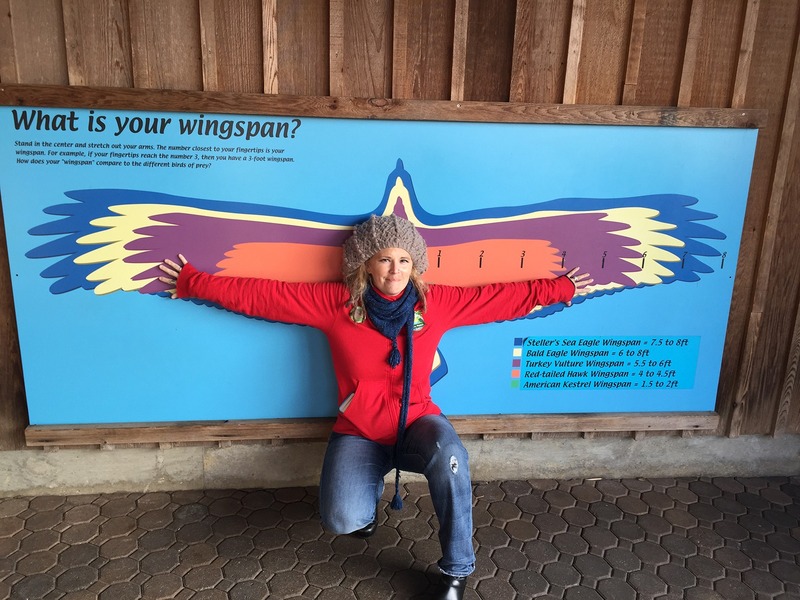 My goal is to participate at board-level in advancing the course and mission of IWRC, to bring my skills and experience to be utilized for the intelligent and scientific advancement of the health, welfare, and well-being of all wildlife in human care. Rescue, rehabilitation and release of wild psittacines and passerines, are of intense interest to me. However, the consequences of anthropogenic damage to habitats, entire ecosystems; the impact of animal trafficking on population status, health, welfare and well-being on individuals, flocks, and of all wildlife and flora requires urgent attention from all of us, regardless of specific interest. Wildlife rehabilitators act as first-responders in this global crisis, and I am dedicated to helping foster data collection, progressive and modern techniques, bridging gaps with other disciplines. MacGyvering skills (both physical and intellectual) have been of great value, when added to professional and technical training. Bringing awareness of cruelty to wildlife and avians to the professional animal cruelty community. So many people to choose from, and I submit two: Dr. Sylvia Earle and my 3rd-grade teacher, Miss Clothier. I would study terrestrial crabs. I would probably be a wild Rosy-faced Lovebird, screaming in the desert. Bossy, matriarchal, loud, obnoxious, stubborn and passionate in defense of friends, family, and conceptual philosophy. I aspire to be other beings but that is likely the truthful representation. I would like to be a sweet, lovely kakapo; but…. I waited more than 5 years to be selected as a nest-minding volunteer for the Kakapo Recovery Team in New Zealand. Working with wild psittacine issues of any sort. Planning about how to ameliorate the lack of interest and public knowledge of cruelty to urban wildlife. Thinking about the impact of natural and anthropogenic disasters on rehabbers, rehabilitation facilities, animal and plant populations and ecosystems, and what my personal role can be to greatest effect. An intense, serious, older wild-caught Timneh African Grey Parrot, about whose life I wonder and I shudder to think of his experiences from a captured and abused chick, through his adulthood in captivity, and various owners. He now is released from slavery and owns himself. A middle-aged Congo African Grey Parrot, beautiful and sweet. He knows nothing of the wild except what is in his genes. A middle-aged Lineolated Parakeet, whose grandparents were illegally trafficked into the USA, inbred, and sold as objects. An intelligent, demanding and personable Blue-crowned Conure. All of them, and the many birds that have shared my home were the result of confiscation, re-homing, abandonment, relinquishment due to poor health resulting from captivity, adopted from poor conditions, poverty, lack of veterinary funds, ignorance. I wish that each and everyone one of them had been allowed to flourish as the member of a wild flock and unmolested for their natural lifespan. I am dedicated to seeing that this dream will come true for all wildlife. ABSTRACT: Temperate, cave-dwelling bat populations in eastern North America are facing drastic declines due to the emergent disease called White-Nose Syndrome (WNS). In Ohio, USA, wildlife rehabilitators may accept native bats during the winter months when bats are typically hibernating. During the winter months, this deadly fungal infection is the most damaging to individual hibernating, temperate bats’ physical and physiological condition, because the bats are more vulnerable to disease while their immune response is low during hibernation. 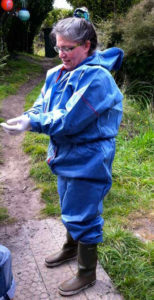 Here, we provide observations and methods for successful care and release of overwintering bats with WNS. In the winter of 2016, we administered simple topical treatments and visually investigated patterns during the care of nine Eptesicus fuscus, assumed to be infected with Pseudogymnoascus destructans through visual confirmation of orange-yellow fluorescence under ultraviolet light and fungal culture. We developed systematic methods for infected-bat husbandry that led to the successful release of seven of the nine big brown bats treated. This rule would update the current list of migratory birds protected by the Migratory Bird Treaty Act (MBTA), based on scientific changes to bird taxonomy (i.e., common names, scientific names, families, etc.) and increase the number of MBTA protected birds to 1085 species. The list is formulated by the scientific community, specifically the American Ornithologists’ Society’s Checklist of North American Birds (AOU 1998), for species that occur in North America. This list enables the public to know which species are protected and which species are not, thereby preventing confusion and potential conservation and enforcement issues. Comment period closes on January 28, 2019. It’s that time of year again… Annual Reports of activity for Federal Rehabilitation, Special Purpose Possession and Eagle Exhibition permit are due to your Regional U.S. Fish and Wildlife Service Migratory Bird Permit Issuing Office postmarked on/by Thursday, January 31, 2019. If your permit expires March 31, 2019, you may receive an annual report form and renewal letter via regular mail from now through the end of December. 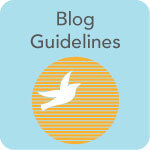 Information for Renewals and about Live Bird Possession. Any permits that authorize possession of live migratory birds and eagles are renewed based on your facilities for specific numbers and specific species only, and you are not authorized to possess any live birds for educational or other activities other than those listed on your permit. Updated photographs/diagrams of enclosures for housing migratory birds and eagles for display and for rehabilitation purposes, as well as updated information about the individual responsible for the daily care of these migratory birds/eagles, is also required as part of your permit renewal procedure, unless you have submitted this facility information within the past 3-5 years (3 years for Possession/Eagle Exhibition permits; 5 years for Rehabilitation permits). 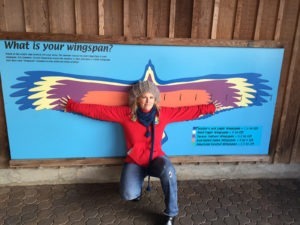 Instructions for adding/deleting a live bird for Possession or Eagle Exhibition permits are listed on the chart on page 2 on the Migratory Bird Special Purpose Possession (Education) Permit Acquisition & Transfer Request Form 3-202-12, found directly at https://www.fws.gov/forms/3-202-12.pdf. Please remember that rehabilitators are required to complete this form if they are requesting to transfer a non-releasable migratory bird to an exempt facility or to a Special Purpose Possession permittee for educational purposes, but this form is not required if the bird is being transferred to another federally permitted rehabilitator for continued rehabilitation. Transfer Form and Annual Report Copies. Additional Annual Report forms for other federal permits including Scientific Collecting, Special Purpose Salvage, etc. are also included on this website. Miscellaneous: U.S. Fish and Wildlife Service Permit Applications and Website Revised! Visit the main Migratory Bird website https://www.fws.gov/birds/index.php for many resources for bird enthusiasts, surveys & data, management, grants, education, get involved and policies & regulations (this last section is where permits, laws, regulations, policies, administrative orders, and federal register notices are all found). Frequently Asked Questions for many permit types are now at https://www.fws.gov/birds/policies-and-regulations/permits/FAQ.php and are also featured as a link on the top of the permit application. Wondering what exactly is a “migratory bird”? Find an alphabetical complete list of birds protected under the Migratory Bird Treaty Act at https://www.fws.gov/birds/management/managed-species/migratory-bird-treaty-act-protected-species.php . Please note that hyphenated species such as “Screech-owl” have their own line entry and are not listed under “Owls”. Most links listed here will work through Google, Firefox or other browsers, but may not be accessible through Windows Explorer at this time. Thank you for everything you do to conserve America's wildlife and wild lands! 1U.S. Fish and Wildlife Service Southwest Region, Migratory Birds Program, Albuquerque, NM, USA. We predicted that certain falconry techniques would decrease stress and the time required to pre-condition raptors for release. Between 2008 and 2014, we alternated use of traditional rehabilitation procedures with falconry techniques on 45 raptors. Twenty-seven birds were alternately restrained using either a towel or a falconry hood. Results from t-tests showed significant decreases in stress with the use of falconry hoods vs. towels. Twenty-six accipiters and falcons were either held in pet carriers or hooded and perched on falconry blocks. All 14 tethered birds retained excellent feather and cere condition. Of the 12 birds kept in pet carriers, none were in excellent condition and eight showed more than one category of damage. Twentyeight birds were either provided with the traditional cage flight conditioning, flown on a creance, or conditioned through specialized strength building exercises called “Jump-Ups.” An additional three birds were conditioned using a combination of Jump-Ups and creance flight. Cage flight alone required considerably, though not statistically significant, more conditioning time before release in most cases. Creance flight and Jump-Ups were similar in time required for conditioning when used alone. However, a combination of creance and Jump-Ups for three birds required far more time than either method alone. The National Wildlife Rehabilitators Association (NWRA) and the International Wildlife Rehabilitation Council (IWRC) are starting the process of revising the fourth edition of Minimum Standards for Wildlife Rehabilitation (MSWR). Both organizations wish to get input from as many people as possible—rehabilitators, veterinarians, governing agencies, and others directly involved in the rehabilitation of wildlife. The primary goal of MSWR is to improve the welfare of wildlife in rehabilitation. We aim to continue to add to and improve upon the information in the book for the benefit of all rehabilitators and the wildlife in their care. Please submit any and all changes or additions you feel should be addressed. All suggestions are reviewed thoroughly and considered seriously. Input can include suggested edits to the current edition, additions or deletions to existing material, or new text suggestions that would add to the foundation of knowledge in this book. So that we may organize everyone’s input, please follow the format listed below. Suggestions and thoughts are welcomed through November 30, 2018, after which time the editors are at work evaluating every comment received and working on the fifth edition. Thank you for your comments. Your commitment to wildlife in need and to furthering the science and standards of wildlife rehabilitation are greatly appreciated! Bird Ally X is managing an Avian Botulism outbreak on site at the Tulelake National Wildlife Refuge in Northern California and has an immediate need for volunteers to help care for impacted wildlife. Avian botulism is a strain of botulism that affects wild bird populations, most notably waterfowl and is not contagious. This is an opportunity to learn the foundational skills of wildlife rehabilitation and help care for local wildlife by providing supportive care. Volunteers duties will include rescue transport, handling patients for exam, preparing food, cleaning & preparing enclosures, washing dishes, laundry, and cage construction. • Be 18 years of age or older • Be in good health. People who are immune compromised should not work directly with animals but are welcome to help with transport. The working conditions are outside and may involve hard physical labor. Please bring a water bottle and wear clothes you don't mind getting dirty. On December 22, 2017, the US Department of the Interior released a new interpretation of the Migratory Bird Treaty Act (MBTA), which does not prohibit incidental take. In addition, the US House of Representatives introduced a bill in November (HR 4239) which similarly removes protections from animals affected by the energy industry (oil spills, turbine issues, etc). Read more about both initiatives courtesy of the American Bird Conservancy and learn about actions you can take. Listen to Bye, Bye, Birdies? a 35 min podcast where several experts discuss the MBTA and the changes. US rehabilitators may recall the recent reinterpretation of the Migratory Bird Treaty Act (MBTA) that we reported on this Winter. It is no longer the result of an activity, but instead its intent that matters in regards to the MBTA. Stated plainly if birds, eggs, or nests are destroyed by an activity, but the purpose of that activity was not to destroy the birds, eggs, or nests, then the MBTA does not apply. Wildlife rehabilitators in the US should be aware of this change when speaking to the public about legal interactions with wildlife. Unfortunately, the presence of a nesting bird no longer means it is against the law to take down a building. We can still counsel the public on best practices, and encourage them to act in the animal's interest, but we cannot say the action is illegal if the purpose is not to kill the bird(s). To help wildlife professionals navigate this new interpretation the USFWS has kindly issued a 7-page memorandum. Additional communications are expected this summer regarding wildlife rehabilitation specific guidance. In the meantime, IWRC is interested in hearing how this interpretation is affecting the day to day work of US rehabilitators. Please share an early/childhood experience that was pivotal to your personal relationship to wildlife. I grew up in Eastern Kentucky. When I was about 10 years old my grandfather found a pair of (almost) fledgling Eastern Screech Owl chicks at the family lake house in the spring, when he arrived to get things in order for the upcoming summer. He brought them to me and instructed me to feed them for a few days until they were strong enough to fly into in the forest that surrounded my childhood home. I’ll never forget the sound they made when I opened the box to peek in; that screech seemed to terrify everyone - except me. In a few days’ time, they were off on their own and I was hooked, or “taloned”? Early in my wildlife rehab volunteer days I joined IWRC so that I could access the reduced fee on their online classes for Pain Management, Wound Management, Fluid Therapy as well as published materials and eventually the Basic Wildlife Rehab Course. 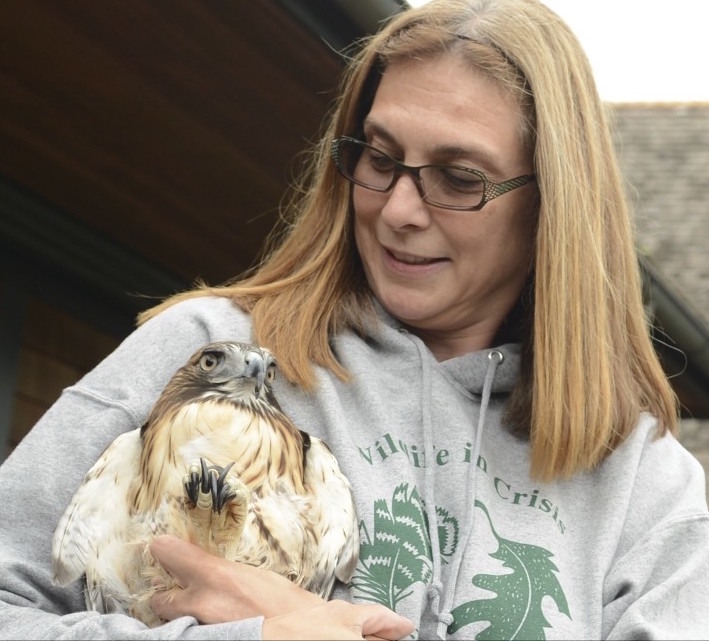 IWRC has always exemplified the profession of wildlife rehabilitation to me, and I’m honored to help serve the membership as a board member so that they can access the same resources for the benefit of the animals we serve. There are certainly members of the board and membership that have more in-depth knowledge of the medical and biological aspects of wildlife rehab than I do. There was a time when I believed those would be my strongest assets in this field, but when the opportunity-task of setting up and administering my own organization presented itself, I set about learning all I could to ensure its success. That determination led me to pursue a comprehensive Nonprofit Management Certificate through the University of San Diego. I’ve learned so very much about the governance of a nonprofit through that program, and combined with my experience as a wildlife rehab volunteer and involvement with unrelated professional organizations as a committee member - I think I come with strong, broad foundation of knowledge to work from. As for a particular passion; I have experienced so many periods in my wildlife rehab career where I felt isolated and alone, where I saw the obvious effects of inter-agency and even inter-personal failures to communicate and cooperate that left the wildlife patients on the losing end. This, in turn leads to a high rate of rehabber burn-out. I really feel it is my purpose to foster better communication, understanding and cooperation between all involved. It’s all about collaboration! My background in art has come in handy when I’m explaining a new enclosure design to my husband. He works in construction so we make a good team. A difficult choice between sweet, calm but utterly relentless Jane Goodall and charming, wild and equally determined Steve Irwin. Either way – it would be a “wildlife warrior”. Flamingo – the strutting, dancing and the fabulous plumage make this an easy choice for me. 1987 University of Kentucky Men’s Basketball Midnight Madness when I was about 11 years old. I was a gymnast/cheerleader at the time and while our moms held our place in line a group of my friends and I found a patch of grass to tumble and stunt to occupy the hours of time in line. While tumbling I (just slightly) dislocated my elbow, but when I felt it and grabbed my arm, I popped it right back into place. Nonetheless - we went to ER got an x-ray, ice pack and a sling and got back in line in time to enter and enjoy the night. A close 2nd would be standing 1st in line for Janet Jackson concert tickets. Any wildlife “release day”, though it’s usually an even mix of anxiety and excitement. Also, our rehab facility is on my home property so at any given time there could be just about any kind of animal - in any kind of crate - in any room or area of the house. Neonate baby birds in portable brooders go on the nightstand beside my bed so that I can monitor them during the night and administer their first hydration in the early morning. I literally live in a zoo.